Every month newly engaged couples come to us to help them find a loan to fund their dream wedding. With this constant stream of wedding planners knocking on our door, no wonder the customer support team are forever discussing the varying expenses that come with getting married. We therefore decided to launch the Aspire Wedding season, three months of guidance to help you plan your perfect day on a sensible budget, so you don't need to compromise on the things that matter to you. With 12% of proposals in the UK occurring on Valentine's day , what better time to start thinking about wedding planning than now? 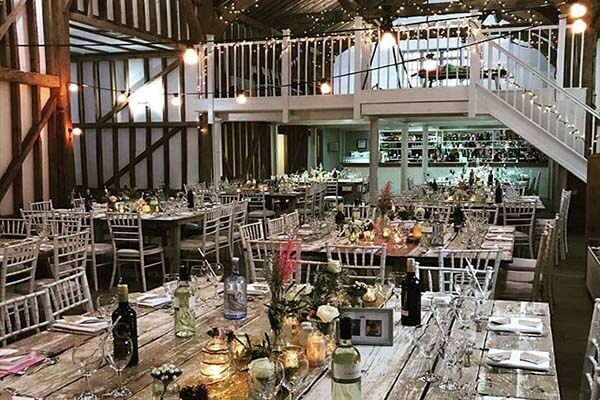 We've taken a variety of venue ideas from across the country and sorted them by price, starting with wedding venues under £2000, under £1000, and finally options that won't cost a penny. You don't need to travel abroad for white beaches and endless blue seas. 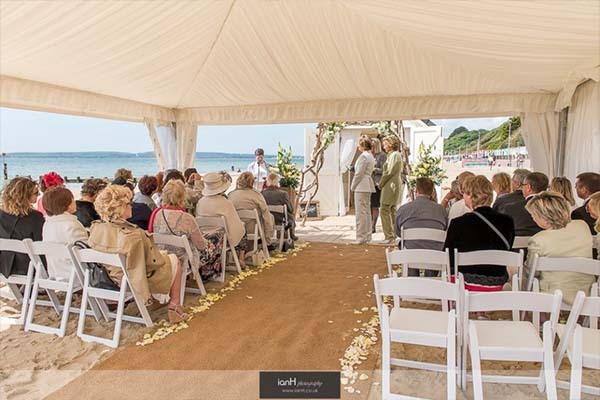 Starting from £1200 you can have a gazebo wedding on your own private stretch of beach. 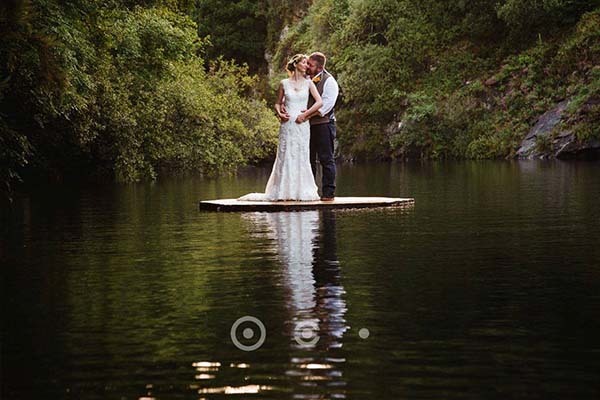 Think games on the shore, canapes and picnic food, and unforgettable photos from the day. 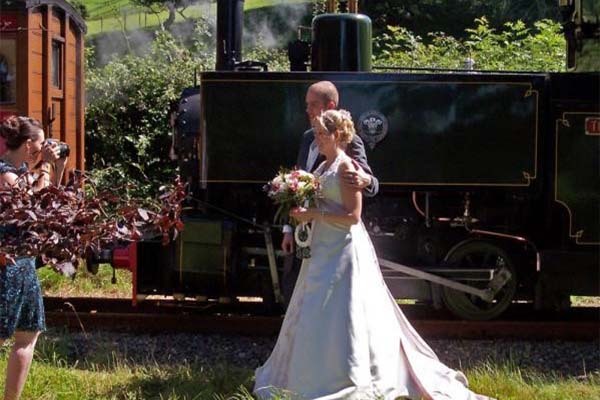 Take a step back in time with a charming wedding at the Talyllyn Railway in Wales. You and up to 40 guests will join a special train for a 45-minute tour of the beautiful welsh countryside before stopping at Abergynolwyn station for the ceremony. This beautiful setting is straight out of a Jane Austin novel, and is perfect for those looking for something classic, yet unique. Intimate, romantic and spectacular. These gardens were made for unusual and extravagant garden parties back in the 1740s, and now hold historical significance in the UK. There are plenty of different options starting at just £1050 depending on the size of your party, and their friendly staff are available to support throughout the planning process to ensure everything goes smoothly. 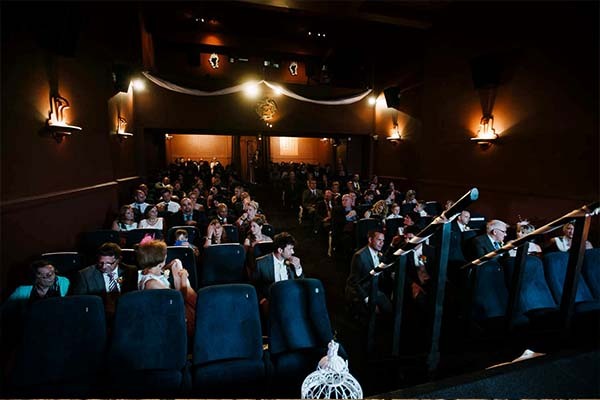 A cinema themed wedding is perfect for film buffs, and there's few better places than the beautiful and quaint Little Theatre in Bath. Wedding packages start from just £480 and include access to the projection equipment to show your own footage, or a clip from your favourite film, as well as popcorn for all the guests and a large poster frame for your own bespoke posters. This grand 16th century country estate offers a more traditional day within its historic grounds. 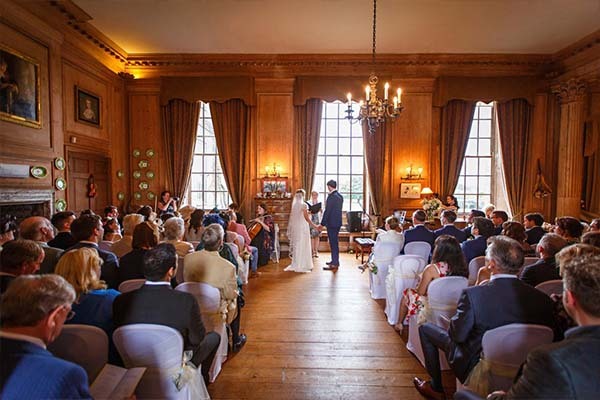 With packages starting from £750, you can choose to have a ceremony within the estate or within the onsite church before exploring the breath-taking grounds with your guests. 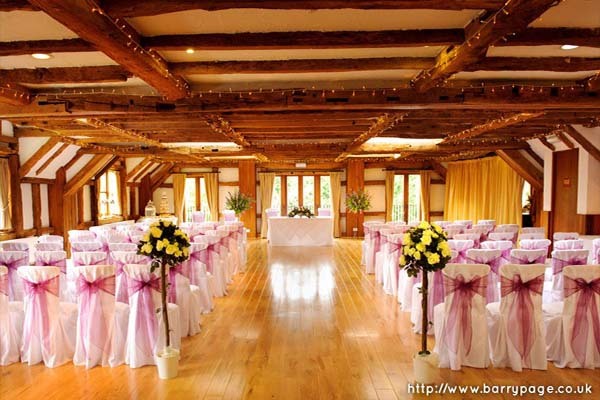 St Mary's Guildhall is the perfect choice for an intimate venue that doesn't compromise charm or historical significance. 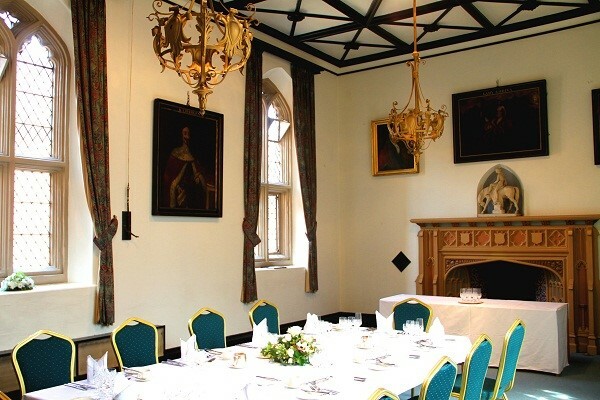 The magnificent medieval interiors and fine artworks offer a window into the rich past of the venue, where great historical figures such as William Shakespeare have visited! 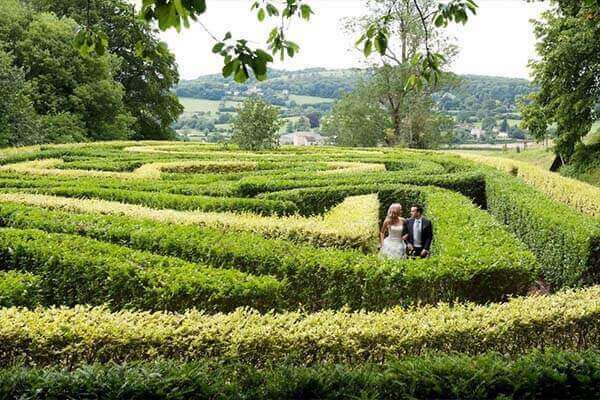 Tucked away in the heart of Kent, High Rocks combines interesting and impressive scenery with high class catering and beautiful indoor spaces. From £650 you can hire the president's suite (pictured above) for your ceremony, or have a function room for your evening celebrations from £450. They are also currently offering a free disco until 2am for mid-week weddings! If you're a regular church goer, it's often possible to have your wedding ceremony and even your reception held in the church grounds for free. A donation of whatever you can afford is always appreciated, but not necessary. 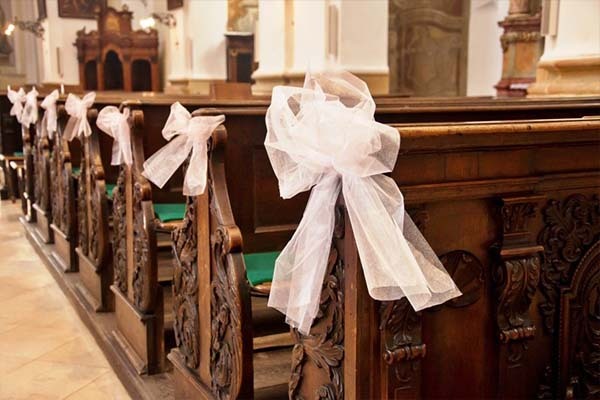 For many this is the natural choice for a wedding anyway, and your parishioner is likely to allow you to decorate the church yourself to make it perfectly you. Unfortunately, almost every wedding venue hikes their prices up during summer months, especially outdoor venues. 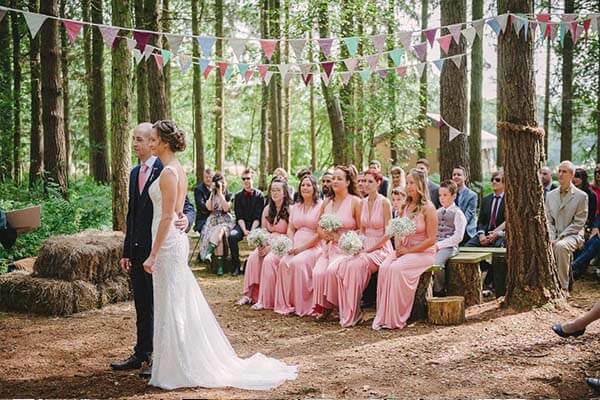 However, a great thrifty alternative is to use your own or a loved one's outdoor space to hold your ceremony, reception, or both! 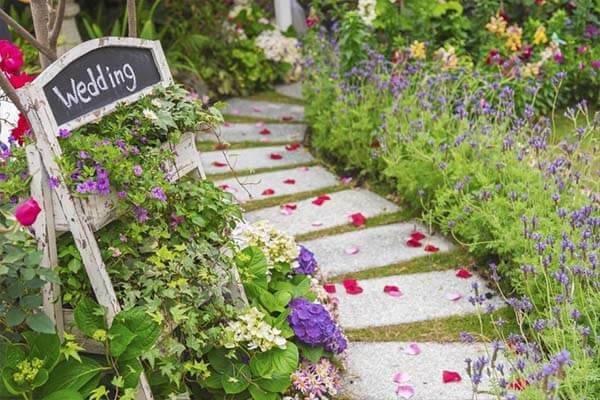 A ceremony probably wouldn't be legally binding unless the garden was licensed, so a trip to the registry office would still be necessary, but it could still make a beautiful service in front of family and friends. With your own space and the rest of your budget free, the possibilities are endless and you have the chance to decorate and cater to exactly the tastes of yourself and your partner.